Hi Dan, I believe I have a T-502B with the original band. It was my father's. 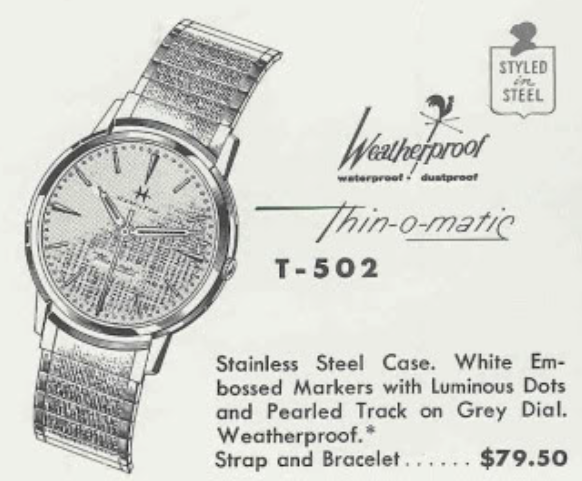 It is STILL keeping time and appears to be "Waterproof" - not "Weatherproof" which maybe the difference between the T-502 snd the T-502B. If you'd like to reach out Please email me at CygnetLovesGarnets@gmail.com. Tx! I suspect the difference is the case design. Is yours different than above?